All of those NFC based mobile payment systems of the least few years? Forget about them because Tim Cook’s first universe denting product is here. 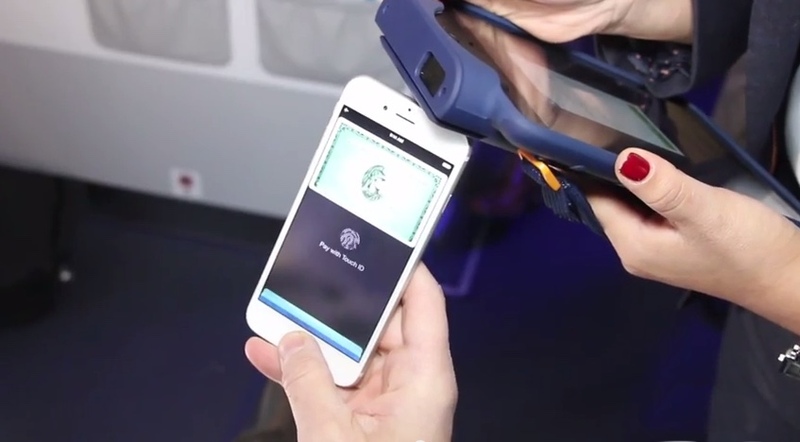 Yep, Apple Pay has not only taken over the mobile payments space here on terra firma, Apple Pay is now taking to the skies with bargain carrier Jet Blue. According to USA Today’s Ed Baig, passengers on select domestic JetBlue flights will be able to use Apple Pay to purchase food, drinks and certain onboard amenities once they hit cruising altitude. “The sky is definitely not the limit when it comes to mobile payments with Apple Pay,” says Marty St. George, a senior vice president at JetBlue. Which just goes to show you, mom and dad, that peer pressure really is a good thing. Also joining the Apple Pay club, in an even bigger way, ChowNow has updated its service with nearly 700 food and restaurant apps, which come in addition to the thousands of restaurant and eating establishments, like McDonalds and AppleBees, that already accept Apple Pay. However, perhaps the most important factor driving Apple Pay adoption is ubiquity — well over 90 percent of credit issuers support Apple Pay. So, whereas flying JetBlue is little more than a glorified cattle car in the sky, the next time you fly them, you won’t need to reach for you wallet or credit card.